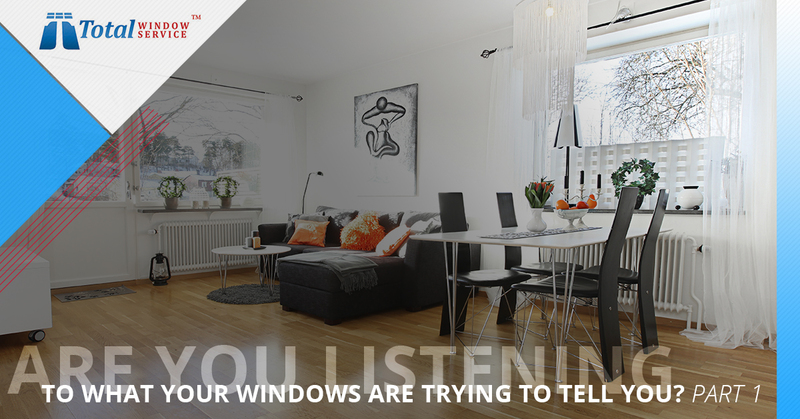 Are You Listening to What Your Windows Are Trying to Tell You? Most people think that a window that is in need of repair, restoration or replacement will always be easy to spot. After all, in most people’s minds, if a window is broken, you’ll be able to see that it’s broken clearly. However, that’s not always the case, and in order for you to get the service you need, you need to know how to listen to what your windows are trying to tell you. That’s why your friends in New York City at Total Window Service have come up with this guide on some of the most common things your windows might be trying to tell you. What are your windows trying to tell you? Sign #1. There is condensation forming between the panes in your windows. 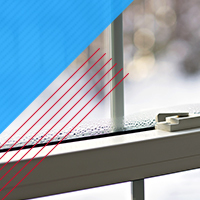 When it’s rainy, icy or snowy out, have you noticed condensation creeping up in between the panes on your windows? When moisture gets trapped in between two window pans, it will either turn foggy or become condensed into droplets, and it’s a sure sign that seals on your panes are failing to do their job, which is to keep moisture out. Luckily, there’s no need for you to fully replace your windows; you can easily get the panel that has failed replaced. Sign #2. There is condensation along the corners and bottoms of the glass in your windows. If you’ve spotted condensation forming in your windows, particularly if it’s forming along the bottoms and corners, it’s not always a sign that there is a problem with the windows themselves. In fact, in this particular case, it’s probably a sign that there is an excessive amount of moisture in your home. This is a common problem for people in new homes, as they are often built so tightly that it makes it impossible for any moisture inside to exit the home. And, while there’s nothing that can be done to restore or repair your windows that will fix this problem, since it’s a humidity problem and not a window problem, it’s still a good sign to watch out for, as too much humidity in your home can increase the risk of mold and mildew growth. Sign #3. The windows have become hazy or have a white, powdery substance on them. Do your windows have aluminum screens or frames? If so, then any white, powdery residue or haziness on your windows is a sign that oxidation has occurred. When exposed to humidity, it can cause the aluminum on your windows to oxidize, which can then be transferred to the windows themselves, leaving a hazy appearance or a white, powdery residue. If you don’t get the problem taken care of properly and promptly, the chemical deposits can actually start to form a permanent bond with your windows, leading to the need for eventual replacement. But, the good news is that Total Window Service can help to restore and clean any oxidation from your windows. Your windows are too important to ignore what they are trying to tell you! Your windows do more than just allow you to enjoy the beautiful views of New York City around your home. They have an impact on your home’s security, your home’s energy efficiency, your home’s curb appeal and so much more. If your windows are in need of restoration, turn to Total Window Service to get the job done right the first time. While we can’t help you replace or repair your windows, as your go-to window restoration experts, we can help to clean oxidation, remove graffiti, smooth out scratches and so much more. Contact us today about your window restoration needs in New York City, and be sure to stay tuned for our next blog to learn more about what your windows may be trying to tell you.